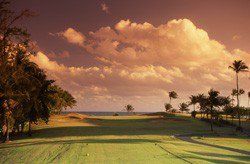 The Pineapple Course was designed to be the more friendly course for golfers. The course has fewer forced carries. The bunkers are not as deep and the greens are slightly larger. 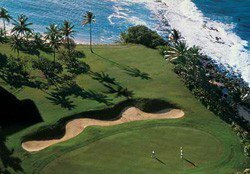 The back nine of The Pineapple Course consists of four holes with an ocean view, followed by a tough five-hole stretch culminating with a fantastic par four, 18th hole, that finishes up on a green that is just below the clubhouse terrace. For those who seek a challenge, this course will give you all you can handle from the back tees. 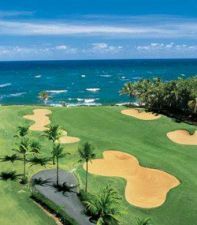 Designer Robert Trent Jones, Sr.
Dorado Beach Resort & Club - Pineapple is not yet in our pool of Golf Courses for orders.